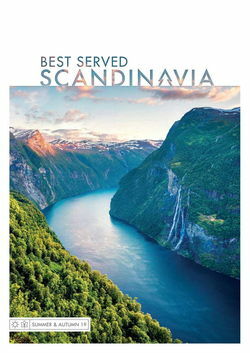 Escape onto Norway’s icy coastal waters for a stunning cruise along its west or head inland for a trip along its fjords – great slashes in the country’s already rugged landscape. 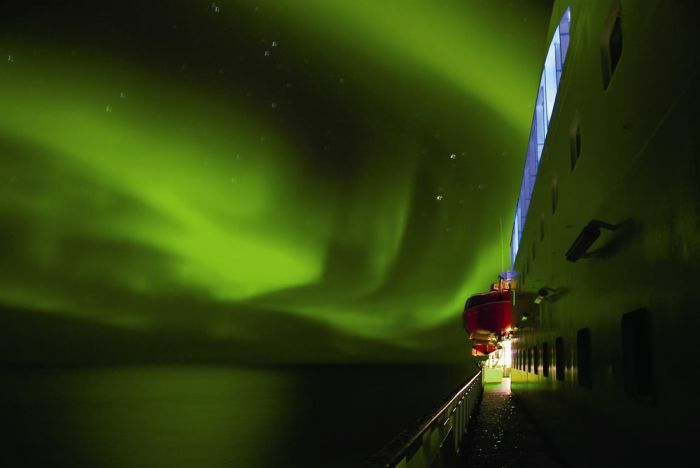 A cruise is, then, one of the best ways of exploring this fascinating land, with arctic expeditions to the north under the Northern Lights and visits to historic coastal towns. 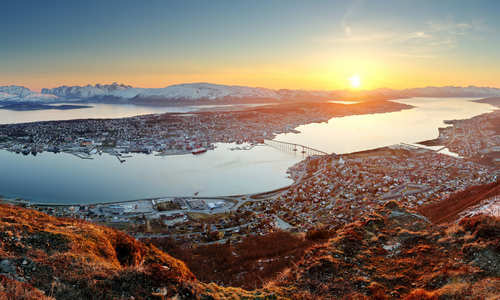 Start within the Artic Circle in Tromso – a winter playground of hikes, snowmobiling and dogsledding. From here, board your Hurtigruten cruise ship to head south to the idyllic fishing villages of the Lofoten Islands to try your hand at fishing or enjoy a mountain hike. 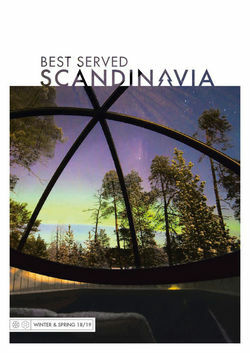 Then, cruise through the dramatic Seven Sisters mountain range as you get a taste of Norway’s stunning landscapes. Your next port of call is Trondheim, a coastal city whose multi-coloured houses point the way to the Nidaros Cathedral, Scandinavia’s largest medieval building. You’ll then finish in Bergen whose historic wharf’s collection of wooden buildings is a UNESCO-listed heritage site. For the more adventurous, the above itinerary is available in reverse with further stays thrown in. Call into Ålesund whose Art Nouveau buildings are the region’s best example of this ornate architecture. You’ll then follow the coast up, stopping off at Trondheim and the Lofoten Islands on the way, before reaching Honningsvåg – Norway’s northernmost city. After you’ve finished with its craggy, sublime scenery, you’ll move onto Kirkenes where you’ll stay in a snowhotel near the Russian border. It’s possible to arrange a further trip around the North Cape, perhaps calling into Nordkapp whose vertical cliffs feel like the edge of the world. Variations on a theme are also available with ships able to dip into fjords to treat travellers to tumbling waterfalls and ranging rock faces. In Kirkenes you can also learn about the indigenous Sámi people who, against all odds, still practice the ancient art of reindeer herding, nomadic living and ice fishing. 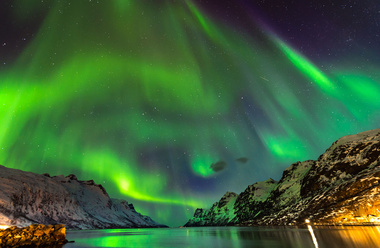 Starting in Tromso, your pre-cruise activities can include everything from summer midnight sun and winter aurora trips to snowmobile excursions and dogsledding safaris. Then, after a flight, check into the best hotel in town in Longyearbyen on Svalbard, Norway’s far-flung northern island where polar bears outnumber people. From here, the cruises start proper with day-trips to Barentsburg, Pyramiden – home to the world’s northernmost statue of Lenin – and the dramatic Tempelfjorden.